East Timor’s José Belo … courageous fight against "unconstitutional" media law. Opposition quickly took off among independent journalists, civil society advocates and eventually media freedom organisations such as the regional Pacific Media Watch and global International Federation of Journalists and Reporters Sans Frontières took up the cause. Yet even though this law was clearly a much bigger threat to Pacific media freedoms as a regional precedent than the military backed Fiji Media Decree, it took some time for mainstream news media groups to take notice. 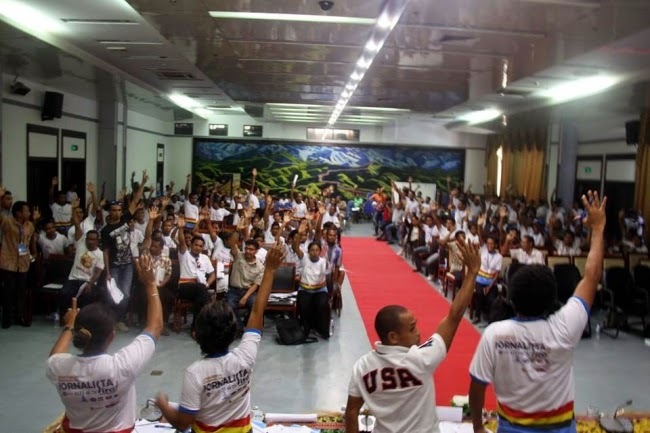 And this is mostly thanks to the courageous efforts of Tempo Semanal’s editor José Belo, who is also leader of the fledging Timor-Leste Press Union (TLPU), to bring it to the attention of the global community. This draconian draft law (not-so-draft as it has already been adopted by the National Parliament and has just been stalled temporarily by the Appeal Court over some "unconstitutional" sections) smacks of the worst repression days of Indonesian occupation and of the Suharto era of media censorship. The Suai project on the South Coast ... "liberated" land but confused communities. 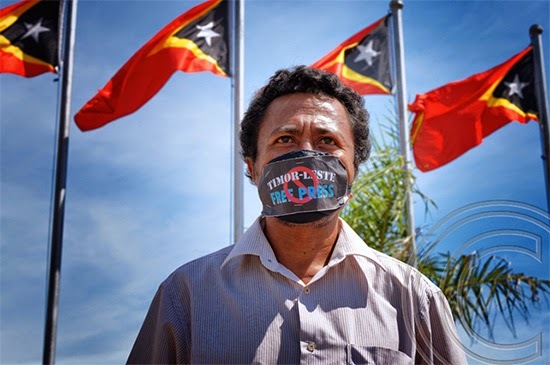 AN INDEPENDENT Timor-Leste development and social justice agency has called for an inquiry into the Timor GAP corporation established to manage the country’s energy resources for the benefit of its citizens, alleging “poor management” and “possible corruption”. La’o Hamutuk, which has been monitoring state management of the oil and gas industry reserves and government spending, has sent an open letter to the Court of Appeal president Guilhermino da Silva and other agencies. The state-owned company Timor Gás & Petróleo, E.P. was established in July 2011 and it began operations three months later - but has never filed an annual report for the past three years as required by law, according to La’o Hamutuk researchers. “La’o Hamutuk has asked them about this many times, and Timor GAP said that problems with the internal audit of their GAP-MHS subsidiary prevented publication of these reports for more a year,” the development agency said in its open letter. 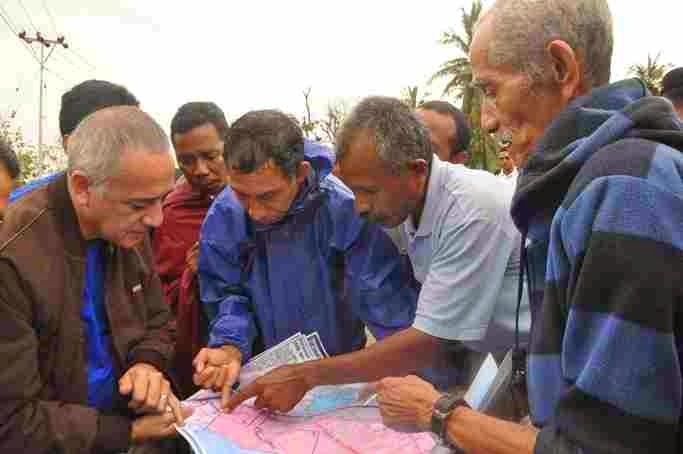 "We believe that Timor GAP, E.P. may have committed legal violations, maladministration, poor management, and possible corruption, as well as ignoring legal obligations for accountability and transparency." The letter called for an “external audit” initiated by the "Camara de Contas [Tax and Audit Tribunal] or Parliament". PACIFIC SCOOP reported this week that East Timor’s Appeal Court had scrapped the country’s draconian new Media Law and sent it back to the National Parliament. The ruling was welcomed with open arms by journalists, foreign correspondents, civil society advocates and democrats. Problem is that some legal interpretations doing the rounds seem to suggest this isn’t quite the full story. In fact, perhaps, some say, reports “jumped the gun” in suggesting that the court had ruled the law completely “unconstitutional”. Tempo Semanal, the independent publication run by investigative journalist José Belo, is probably closer to the mark by saying that parts of the law “violate” the Constitution of Timor-Leste. It is an embarrassing defeat for Prime Minister Xanana Gusmao who had backed the law. 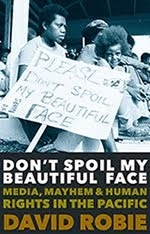 This law is far harsher than the controversial Fiji Media Industry Development Decree imposed by the military-backed regime in Fiji in 2010, which casts a shadow over next month’s election, yet while New Zealand media has had a lot to say about the Fiji media law, it has largely ignored the legislation ushered in by a democracy in Dili. REFRESHING to see some younger journos not weighed down by the political baggage of the Asia-Pacific region giving some fresh insights into media challenges - such as Fiji barely a month away from facing its first election in eight years, and also West Papua. Coup master Voreqe Bainimarama's fleeting visit to New Zealand at the weekend, for the first time since he staged his military putsch in 2006, was crowned by a heady FijiFirst "festival" in Manukau. Several mainstream media organisations would have us believe that this event was dominated or disrupted by hecklers and protesters. The truth, unpalatable as it may seem, was actually a resounding success for Bainimarama with most of the 1000 crowd barracking for him, and this was more accurately depicted by Radio Tarana. A couple of journalists on the Inclusive Journalism Initiative (IJI) programme and Asia-Pacific Journalism course, including a Pasifika broadcast journalist, with a fresh approach, provided a much more balanced and nuanced print story and video report. Well done Alistar Kata and Mads Anneberg! On a similar theme, Struan Purdie, also at IJI and APJ, filed an excellent report on the realities of media freedom and human rights in the Indonesian-ruled West Papua region. 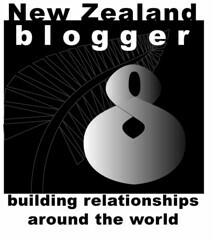 This followed comprehensive and quality news features from Pacific Media Watch editor Anna Majavu. Kudos to you both too! Australia's stake in East Timor's media freedom is rooted in that country's hillside town of Balibo. It was there on October 16, 1975 that invading Indonesian military forces killed, execution-style, five journalists - Greg Shackleton, Tony Stewart, and New Zealander Gary Cunningham from Melbourne's Channel Seven and Brian Raymond Peters and Malcolm Rennie from Sydney's Channel Nine - to prevent them from reporting on the invasion. 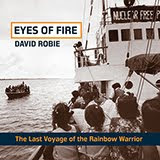 Indonesian troops on December 8, 1975, killed Roger East, an Australian reporter drawn to East Timor to determine the fate of the Balibo Five. Four decades later, East Timor's journalists and foreign correspondents are again under threat. 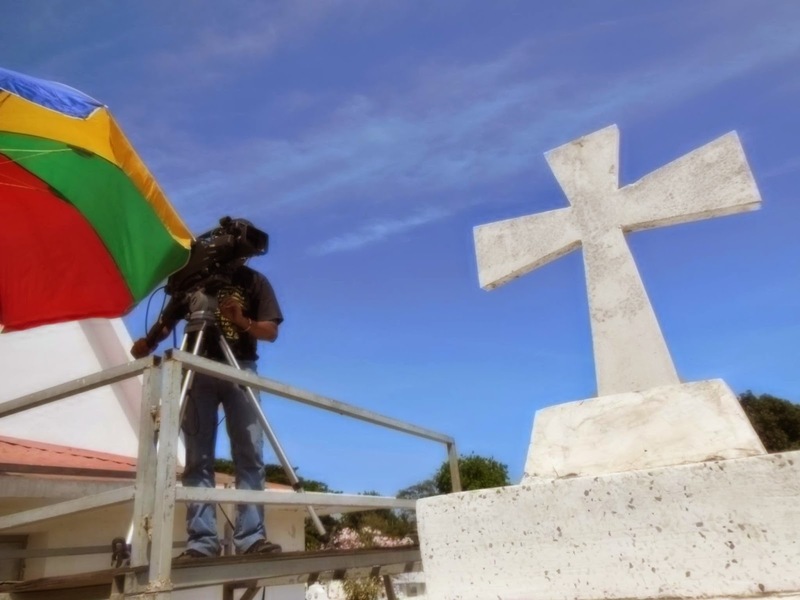 A new media law that East Timor's Parliament passed on May 6 has the power to stifle the country's still-fragile media freedom. East Timor's Court of Appeal is reviewing the law's constitutionality in response to a July 14 request by president Taur Matan Ruak.